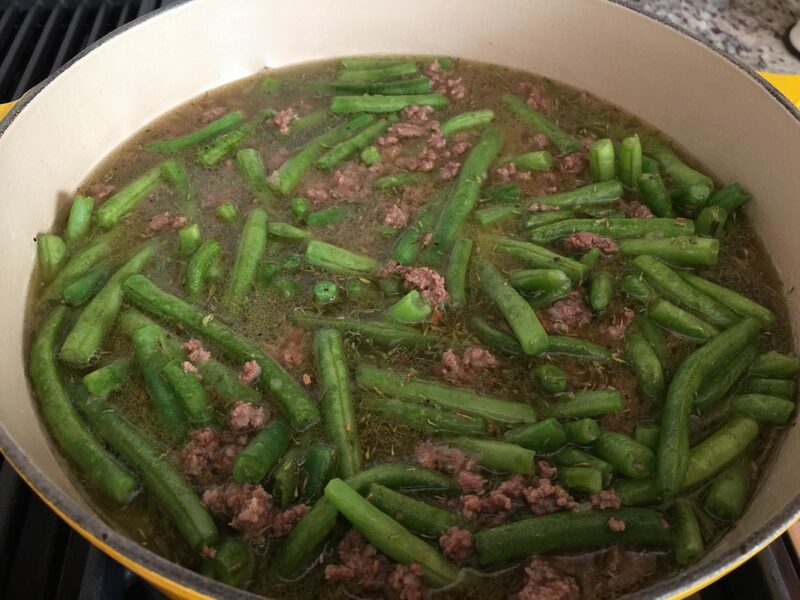 Green Bean Casserole is called Bohneneintopf in Germany. 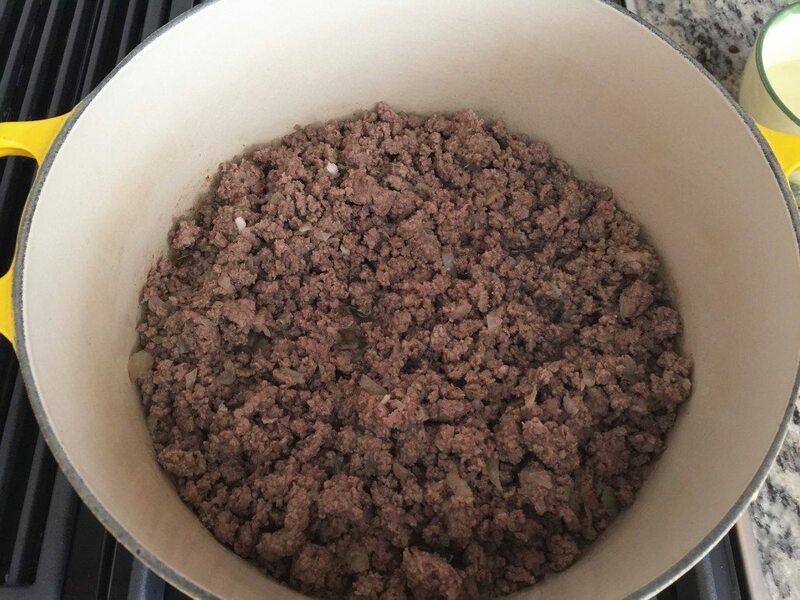 Melt the shortening in a saucepan. 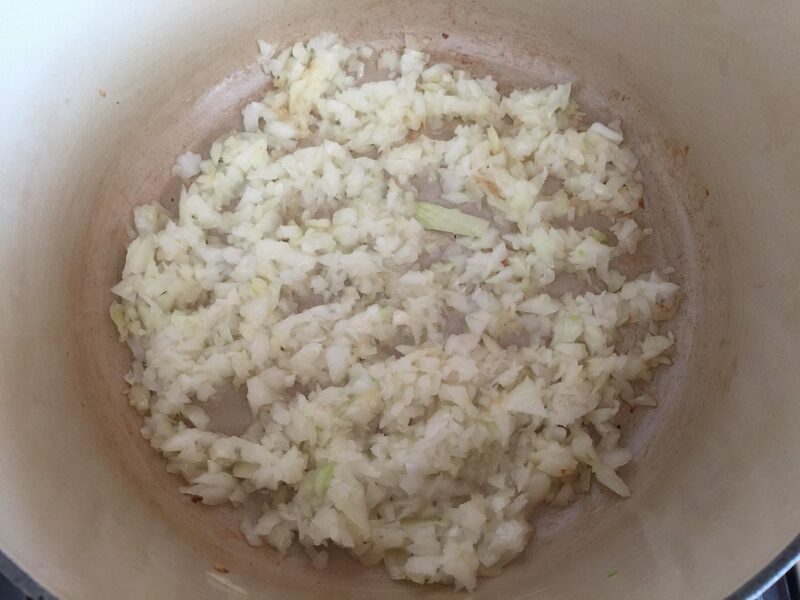 Fry the diced onions until they are transparent. Add in the meat and fry evenly on all sides until slightly brown and crumbly. Wash your beans, cut off both ends, and break them in the middle. Add the beans to the meat and onions and stir. Fill the saucepan with water (about 1 ¼ l – 42.3 oz) or until the bean mixture is leveled with the water. Add salt, savory, pepper, and the bouillon cubes and stir until the spices are evenly distributed. Cover the pan and let it simmer for about 30 minutes on medium low. In the meantime, wash and peel the potatoes with a potato peeler. Cut the potatoes in small cubes and bring them to a boil in a saucepan filled with water and 1 teaspoon of salt. Let the potatoes cook for about 10 minutes. When the beans are completely cooked, add the potatoes and stir them under the bean/meat mixture. Dissolve the corn starch in a cup filled with 5–6 tablespoons of water using a fork. 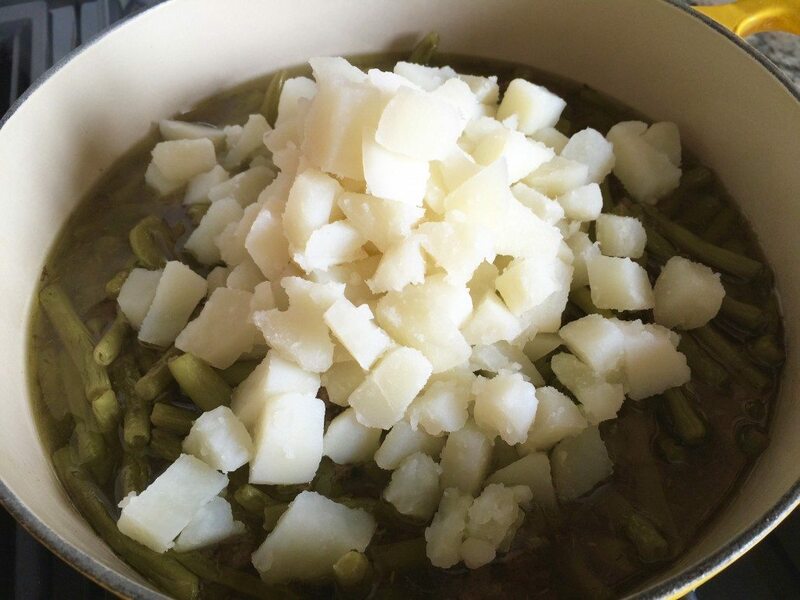 Add the starch to your bean casserole to thicken. Turn the heat off and season with salt and pepper to your liking. (You could also use a few dashes of Maggi, a seasoning available in the international section of your grocery store or online). 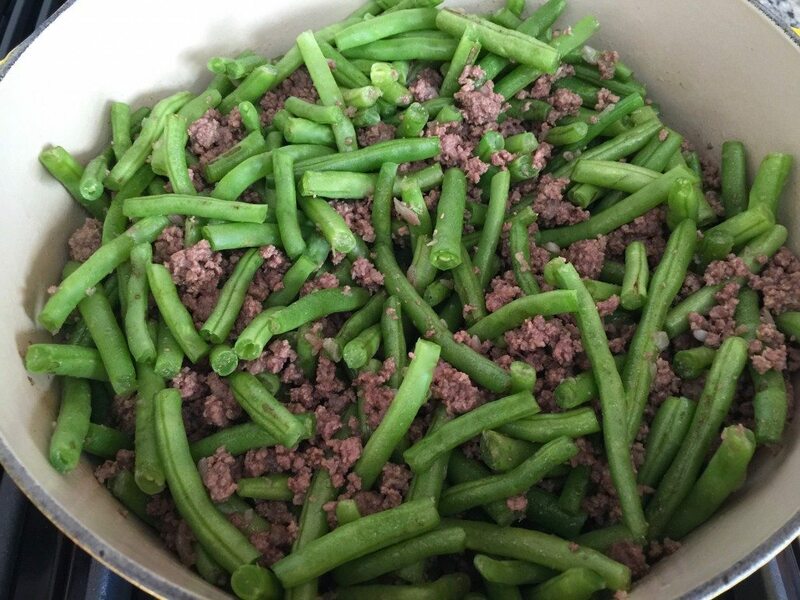 This Bean Casserole serves about 8–10 people, but you can easily use only the half of the ingredients or freeze the leftovers — saving you time and money. Serve with bread or Oma’s Homemade Baguette. To try the German Style Kale Recipe click here, the Rutabaga Stew Recipe click here, and the Hotchpotch Recipe Brisket Cabbage click here.